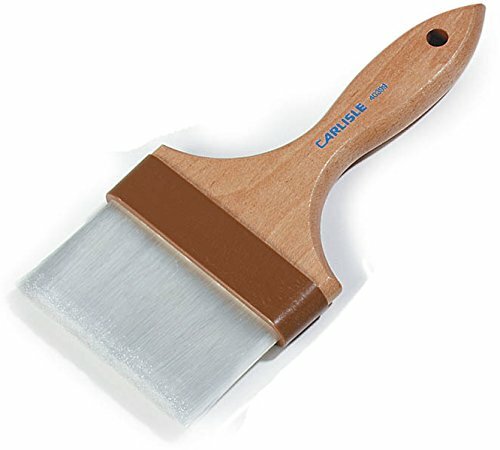 This Carlisle 4039900 Sparta brush is 9.25 inch in Length, with a 4" wide bristle head, and is suitable for glazing or washing pastry. The handle is made of lacquered hardwood for durability, and the Ferrule and bristles are nylon for resistance to abrasion and cracking. The bristles are tapered with chisel-point trim for better surface coverage. Carlisle manufactures food service equipment and supplies and sanitary maintenance tools and supplies for commercial, industrial, and institutional facilities. The company, founded in 1954, is headquartered in Oklahoma City, OK.